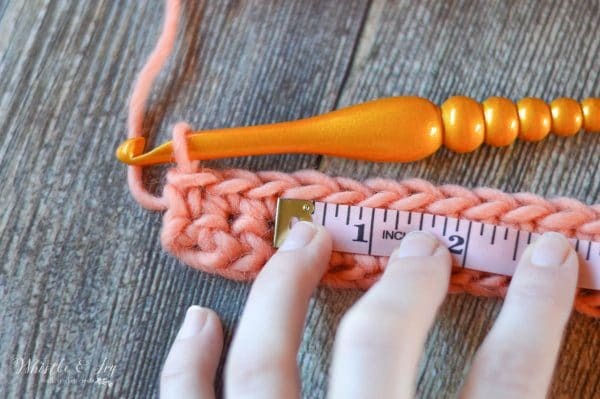 Are you someone who doesn’t bother to work a gauge swatch before beginning a pattern? I get it. Trust me. It’s an annoying little thing that keeps you from jumping into a project you have been waiting all day to begin. But…it’s truly necessary for sized projects. If you have worked a sized project in the past and had success, you are lucky! But you can keep your streak going by doing a lazy gauge swatch. It takes less than five minutes and can, at the very least, put you in the ballpark so your sizing will work out. Because believe it or not, two people who work up the same project with the same yarn and same hook will not have the same sized project. 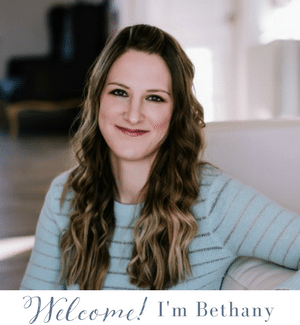 My own gauge will change depending on whether I am stressed, tired or relaxed, so it’s very easy for gauge to change drastically from person to person. 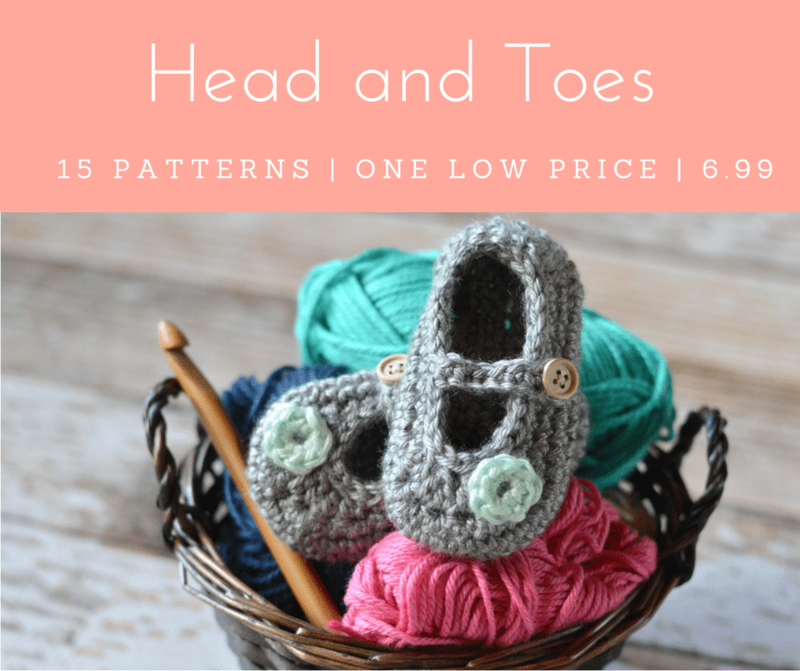 This is how I do my own gauge swatches when beginning a new design, so I am begging you: before starting one of my patterns, please do a quick gauge swatch! Work back across the chain, working in the indicated gauge stitches (sc, dc, hdc, etc. the gauge will indicate which stitch). Work all the way across, then turn. To stabilize the measurement, work a second row across the foundation, one stitch in each. Then, make sure you are using an accurate tape measure (as much as you treasure your grandma’s antique tape measure, it’s possible it has stretched out over the years, so make sure your tape is accurate). 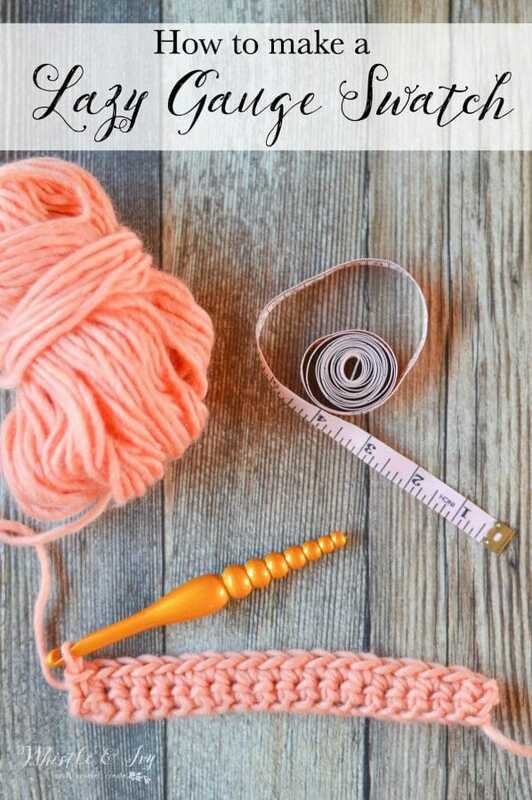 Use the two loops on the tops of the stitches for your measurement. Put the tape exactly where the two loops begin to start the measurement. 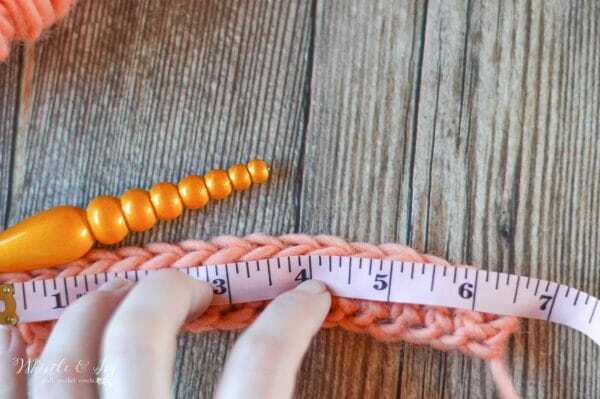 The ends of your measurement should be at the very end of the two loops on the last stitch of your measurement. For instance, if the gauge is 8 sc = 2″, you will begin on the 1st st, lining the measuring tape up with the top two loops, and end the measuring on the 8th st, at the end of the top two loops. So what if your swatch is too small and has more stitches in the measurement? Go up a hook size! And if you have less stitches in the measurement? Go down a hook size! Remember, the hook size is a suggestion provided by the designer as a starting off point to find the correctly sized hook for your project. 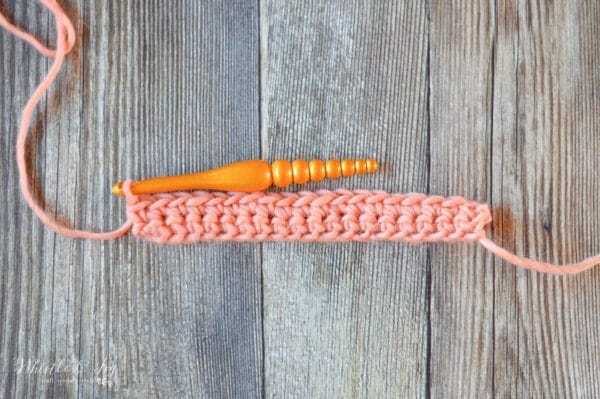 The lazy gauge swatch: super quick, super lazy but super effective. Please make a gauge swatch!